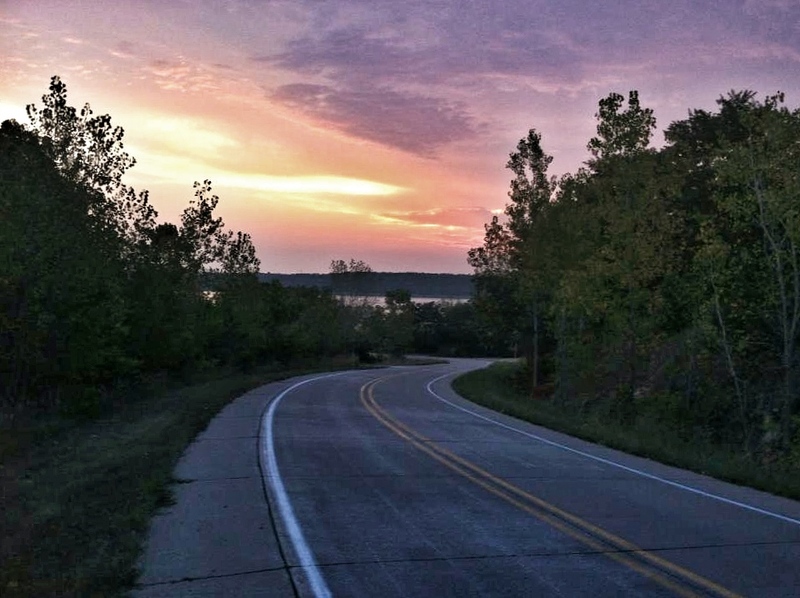 Marathon training: Is it the heat and humidity or is it me? The sun begins to break through the clouds on Mississippi River Road on a September Sunday morning just north of Keokuk, Iowa. We’ve started our long runs before the sun comes up this summer to avoid as much of the heat as possible. The heat and humidity of summer can’t end soon enough for me. Training for a marathon during an Iowa summer is enough of a challenge, but it seems that this summer — and particularly the waning days of summer — has been especially taxing. Usually, we can expect some relief in the temperatures and the humidity in September. But in the past couple of weeks, we’ve had some of our most extreme conditions. On Sunday, the high temperature was 102 degrees fahrenheit. I avoided the worst of that by starting my long run before the sun came up. But I couldn’t avoid the humidity, which hit 86 percent during my run. That climatic combination proved debilitating. Weighing myself after completing the run, I found I had dropped 8.5 pounds. No wonder I felt sluggish. I turned 50 earlier this year, and I keep anticipating the day when my age will negatively impact my training, despite my best efforts. I may have reached that point. Or it may just be the recent extreme weather. According to “Galloway’s Book on Running” by Jeff Galloway, you should adjust your race pace by 20 percent for temperatures in the 80-85 degree range. If this was truly the case, there wouldn’t be a Badwater 135 ultramarathon, which runs through Death Valley every July. But you get the idea. I did experience this phenomenon firsthand during the Country Music Marathon in April 2009. After an excellent training cycle in the winter and early spring, I felt I was ready for a PR effort in Nashville. But the CMM was hit with some of its highest race-day temperatures to date, and — not bright enough to adjust my pace — I struggled to the finish line in the 89 degree weather. But the conditions have been even worse lately. At least the humidity was low during the CMM. During my current training phase, the humidity has routinely been in the 45-85 percent range. This has served to further impact my training and training times. In Sunday’s especially high humidity, I was forced to alternate running and walking intervals by the end of my 18 miler. My legs were shot. I couldn’t muster the energy to keep pushing. But humidity and heat are a nasty duo. You should adjust your pace by 2 minutes per mile for temperatures between 80 and 85 degrees, according to a chart at the RunOnTexas web site. But when combined with humidity that is above 60 percent, you should add 3 minutes per mile to your pace. Subconsciously, I know that the heat and humidity will negatively impact my training. But after a long summer, I was wondering if it was just me or my age or something else altogether. It’s important to recognize that feeling sluggish on a sticky day doesn’t indicate a lack of fitness or a lapse in mental toughness—it’s your body’s physical response to a stressful environment, according to this article on RunnersWorld.com. “As humidity increases, thermal strain and premature fatigue increase exponentially, and so running at your normal pace will feel very difficult,” said Dr. George Chiampas, medical director of the Chicago Marathon, in the RunnersWorld.com story. My research on the impact of heat and humidity on training has helped me feel better about my recent training runs. But nowhere have I found an article that helps predict if the training struggles will be reflected in a decreased race performance. I guess that’s a question I’ll answer for myself when I line up on Oct. 20 for the Des Moines Marathon. Have heat and humidity affected your training runs? Your races? 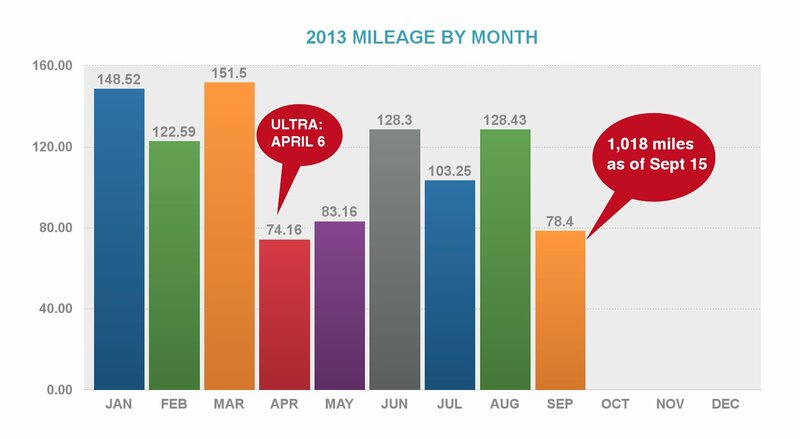 Can you quantify how much the weather conditions have impacted your pace? Offer your thoughts in the comment box below. The Galloway and RunOnTexas items were both referenced in this article at Over40Runner.com. After 10 months of pretty serious training, I was ready for a low-key event. The 33rd Annual Turkey Trot in Quincy, Ill., on Thanksgiving Day was just what the doctor ordered. Laura, Barb, Kristi Stein and I all took part in the 33rd Annual Turkey Trot sponsored by the Quincy, Ill., YMCA. More than 2,000 people took part, which is a great turnout in a town of only 40,000. Last year, DW Barb and I took part in the local Turkey Trot, which was sponsored by the women’s basketball team at the community college. This year, Barb checked if the trot was still scheduled and was told it was on. Apparently, Barb thought a Turkey Trot wasn’t crazy enough on its own, so she felt compelled to order four very special turkey hats for her and I, plus our friend Kristi Stein and DD Laura. Well, the week of the Turkey Trot, we found out that the local race wasn’t being held. But $50 of turkey hats is a powerful motivator, so Barb got busy and found the Quincy “race.” And it was a great find — other than the fact that we now had to drive 45 miles to trot. The Quincy race was organized very well; 32 years’ experience will do that for a race, I guess. There were lots of walkers and lots of families, but everyone seemed to be having fun. And there’s nothing like running a 10K with a turkey on your head to lighten the mood. We all got lots of compliments and our hats. After the Des Moines marathon in mid-October, my training has been spotty. I’ve taken a few days off, and we took a week-long vacation to New York City. But the time off has been good for me. I was pretty serious about my training for 10 months. And after a disappointing finish in Des Moines, a few days off and a light-hearted approach has been welcome. If the hat isn’t goofy enough, the look on this guy’s face tops it off. Barb, Laura and Kristi hung together for the 5K, while I took off on my own for the 10K. All I wanted to do was have a nice run and enjoy the day. Des Moines really shook my confidence. With those results, I have doubted my training, and I knew my execution was worse. And even though the Turkey Trot was just for a good time, I felt good about my run. In Des Moines, I had been aiming for an average of slightly less than 10-minute miles for the marathon. In Quincy, I was able to average about 8:30 miles. Now, you can’t make a direct correlation between a 6-mile average and a 26-mile average, but I was still pleased with the run in Quincy. I’ve been debating my next goal. In less than two months, I’ll turn 50. I’ve had a goal in the back of my mind for that milestone, but I just don’t know if I’ve been able to log enough miles lately to make that goal happen. But my confidence is on the upswing and the fun is returning to the training, so who knows? If nothing else, I’ve learned that sometimes you need to blow off a little steam, so you can start to build your fire back up from the beginning. What have you done to stoke your training fires? How do you lighten up your training? If you want a really cool turkey hat for your next race, you can find them here.